For those of us in the market for fancy gaming peripherals such as these, we know the torrid history between gamers and wireless accessories. There have always been rumors of poor battery life and subpar quality being inherent to the technology, often making wireless peripherals tough sells. From this angle, we can also frame the Cloud Flight’s launch as a bold move. As a long-time PC gamer, I have always been a proponent of wired peripherals. Flashbacks to some of my friends’ wireless mice dying at inopportune times nearly a decade ago have caused me to shy away from wireless options in the past. HyperX has yet to fail to impress me, though, so I was happy to give the Cloud Flight a whirl. 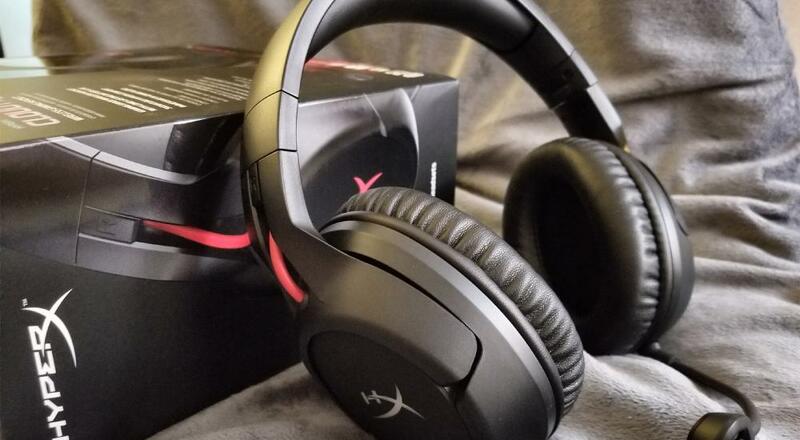 The Cloud Flight is physically unassuming, using a telescoping, memory foam padded band and earcups with large HyperX logo red LEDs splashed across the faceplates. When fit on my head, the unit is light with no uncomfortable pinching or rubbing whatsoever, allowing for multiple hours of wearing comfort. 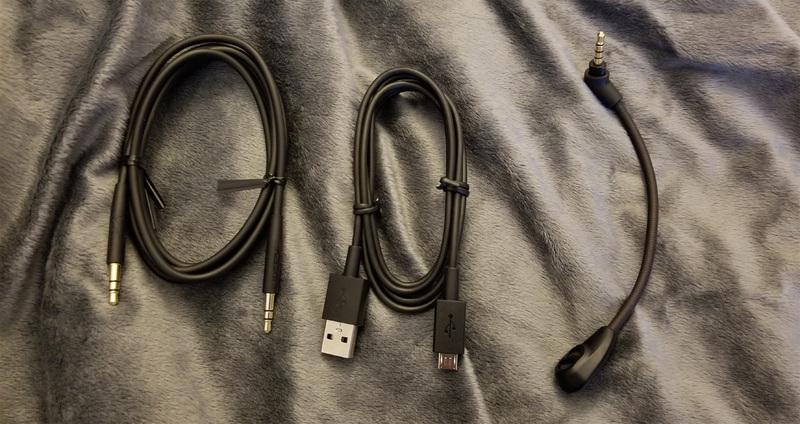 The unit is packaged with a USB dongle (for its natural wireless option on PC and PS4), a USB-to-micro-USB charging cable, and a 3.5mm cable (to turn it into an analog headset, if desired). The Cloud Flight is also compatible with Xbox One, but additional wires must be purchased for this option. Being fully plug-and-play, all the headset’s features are located on the unit. The power button (located on the back of the left earcup) serves two functions: a 1-2 second hold powers the unit on or off, while a tap when the unit is on toggles between three different LED options (on, “breathing,” and off). The microphone plugs into the left earcup and can be attached and detached with ease via a plug that is located right next to the charging port. The faceplate of the left earcup acts as a huge microphone mute button while the right earcup has a volume control dial located at its base. It’s all laid out in a convenient and intuitive manner, with all the standard options you’d want from your headset at your fingertips. In regard to sound quality, the Cloud Flight’s is good for a gaming headset and is not noticeably hindered by using wireless technology. 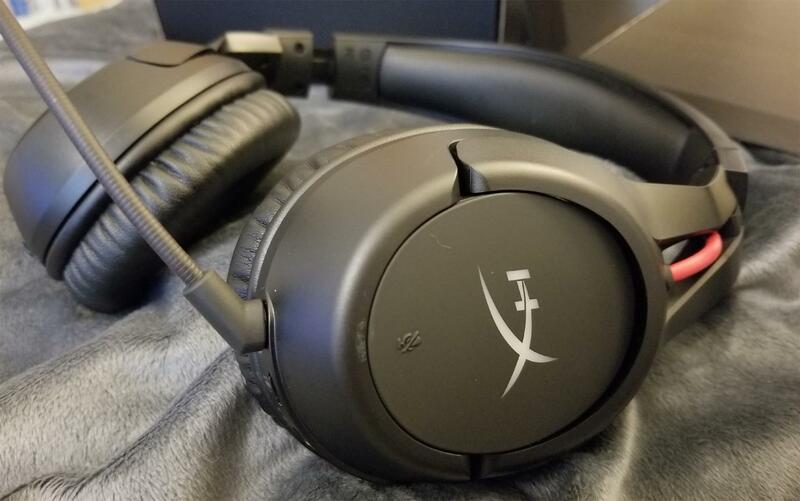 Compared to recent headsets I’ve reviewed, the sound came across a smidge clearer than the HyperX Cloud Stinger’s and on par with the Steelseries’ Arctis 3. Sounds from games are clear and unmuddled, and the earcups do a reasonable job at blocking out background sounds. 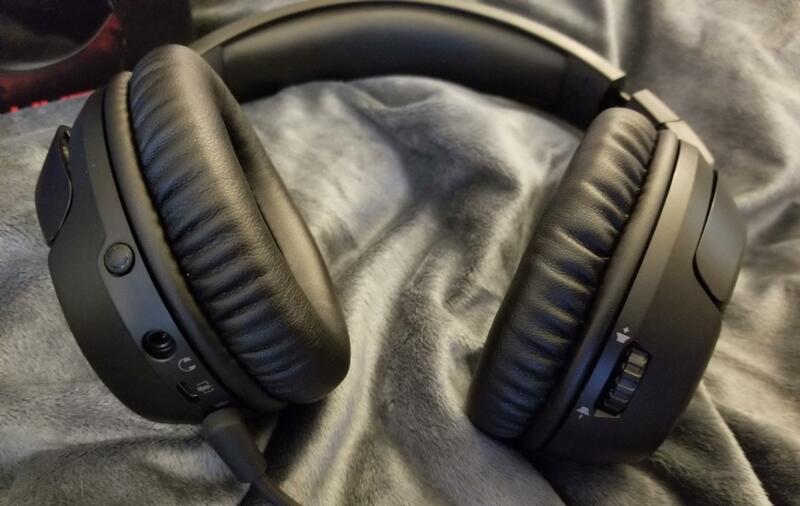 While I slightly prefer the sound quality of my HyperX Cloud Revolver S, that headset also has the benefit of a sound mixer and Dolby Surround Sound options. The microphone on the Cloud Flight is one of the best microphones I’ve had for a headset; it sounds extremely crisp and cancels out a fair amount of background noise. The wireless signal distance of the audio and microphone is similarly impressive. With a 20 meter (~65 feet) range, it’s easy to get up and go to the kitchen to get a drink, all without having to stop your conversation. Most impressive to me, however, is the battery life of the unit. I fully charged my review unit after receiving it and after two weeks of light/average use I have yet to require recharging it. That’s insane. HyperX states that the headset can carry a charge for 30 hours with the LEDs fully off (which is what I’ve been running), 18 hours with breathing LEDs, and 13 hours with LEDs fully on. I was impressed to find that this certainly seems true, based on my own experience. Aiding in its battery life is the fact that the unit will turn itself off after about 5-10 minutes if it’s not receiving any ongoing sound signal. It’s possible that some users may find this irritating, but I consider it a positive since I’d prefer it to save the charge. The only small nitpick I have with the Cloud Flight is that I wish it would remember my LED preference between uses. As it is now, I generally power the headset on while holding it, then tap the power button two times to get it to the “LED off” mode, visually confirming that they are, indeed, off. What’s more likely to be an issue for folks, however, is the price. $160 is no small amount of money to plunk down for a headset, but if you’re willing, I think the wireless experience of the Cloud Flight is worth it. With clean audio, crystal clear microphone, comfortable frame, and expectation-defying battery life, the Cloud Flight provides a wonderful wireless package for PC or PS4. Page created in 0.7703 seconds.